TSR is a 501(c)(3) tax exempt organization and relies on your donations. If you would like to make a tax-deductible contribution (and thank you for that! ), there are two ways you can. Gus was a beautiful and wonderful boy. He was adorable with his tricks and habits. He would tap you with paw when he wanted your attention. We always remember his beautiful smile and sheltie spins. He loved his bandanas and going for rides in the car. We loved our walks with him. He was our companion, friend and our little guy. Gus, you were loved every day and will not be forgotten. Please rest in peace! Mommy and daddy miss you! available from the State Solicitation Licensing Branch at 919-807-2214. The license is not an endorsement by the State. 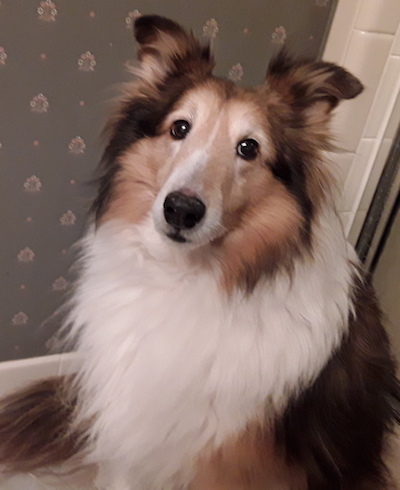 ©2018 Triangle Sheltie Rescue of North Carolina, Inc.